My time with three boys is going to be spread thin with school starting back up. I have recently begun to find the power in making things more accessible to my boys, so that they can do more with me. A little pre-planning has allowed me to have more time enjoying them rather than rushing around to try and do it all by myself. A big help has been making my kitchen more kid friendly and stocked with easy to make snacks. I have rearranged my cabinets, drawers and even pantry so that my boys can help with snack time or even assist in setting the table if I need them to. With a teenager in the house the kids can cook with a little assistance and I don’t feel so overwhelmed when everyone is hungry for quick snacks. Have you ever cleaned the kitchen after lunch only to discover someone looking for food? It happens here all the time. Today also marks the first day of school, and I can bet money I will have a very hungry kindergartner on my hands. Enter my idea for fun snacks my kids can help make. I made my weekly Walmart shopping trip and picked up Bagel Bites and Delimex with these coupons (Bagel Bites and Delimex). 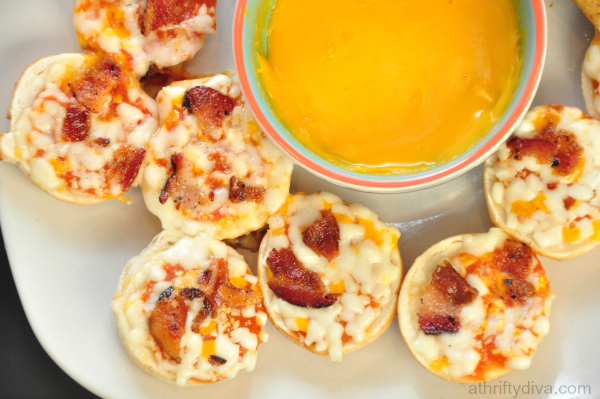 Turn a crowd favorite of cheese Bagel Bites into a delicious maple bacon flavored treat. 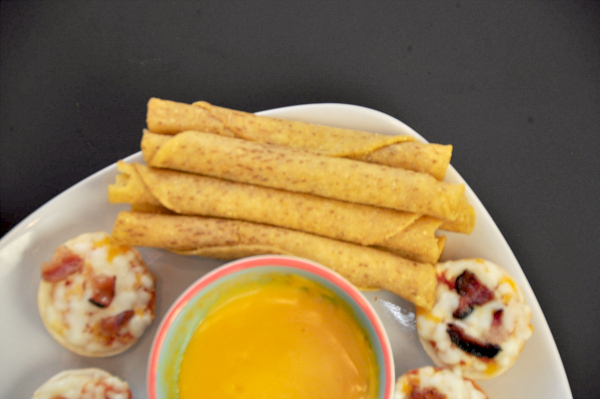 Bagel bites are made with real cheese and homemade sauce with 0g trans fat making them the perfect afterschool snack. Being the bacon lovers that we are, I cooked up a few slices of maple bacon on a pan in less than five minutes. Crumbled them up and topped them on our three cheese bagel bites. 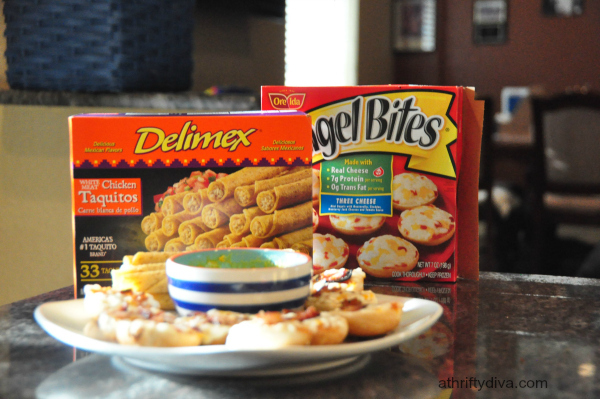 Tie in the delicious Delimex taquitos with a simple queso dip and you have variety that all your family will love. 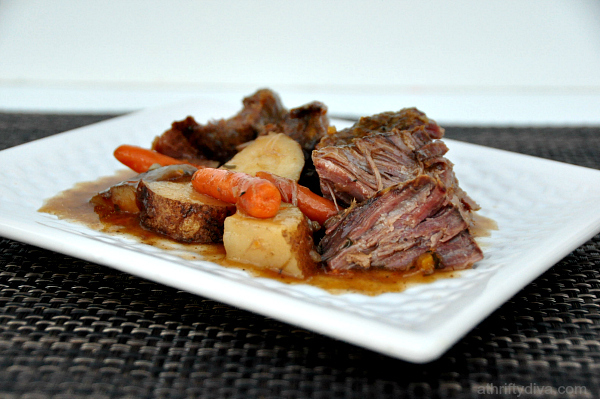 We opt for a simple snack time that takes us a total of ten minutes to pull together. 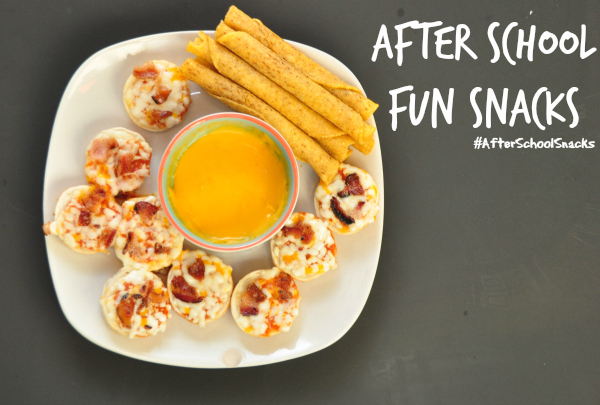 It’s delicious, filling and after school snack time is a breeze. You can find more great recipes at Bagel bites.